Moody's Investors Service has revised its outlook for Russia's banking system to ‘stable’ from ‘negative’, "given emerging signs of the country's economic recovery which will likely benefit its banks," the agency said in a press release on Oct. 24. 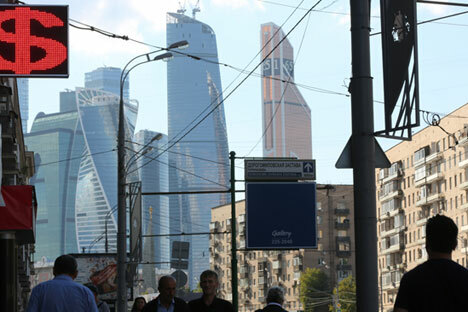 According to the report, "the outlook expresses Moody's expectation of how bank creditworthiness will evolve in Russia over the next 12-18 months." "Slow economic recovery and stabilization of macroeconomic indicators in Russia will support the operating environment for Russian banks," Vice President and Senior Credit Officer at Moody's Irakli Pipia was quoted as saying. "We therefore expect improvements in banks' profitability and capital retention," he said. The rating agency expects the Russian economy to contract by only 1% this year, "with a stabilization in oil prices and strong government stimulus fueling prospects for positive growth in 2017," the agency said. Moody’s also expects the government support to remain a stable influence on bank ratings over the outlook period for the largest systemically important banks, "as supported by a number of policy initiatives and announcements made by the Central Bank of Russia and the Russian government pledging assistance to Russian banks affected by sanctions," the report said.